For a whole month, I was given the opportunity by the Citadel to study abroad in Montpellier, France. A month was too short, though, because Montpellier was always something new to experience whether it historic sites, festivals, cuisine or sports. I also saw students from all corners of the world who gave me their different perspectives on the world. I was never bored on my trip but I also learned more about French culture and language than I could have ever thought back in the US. 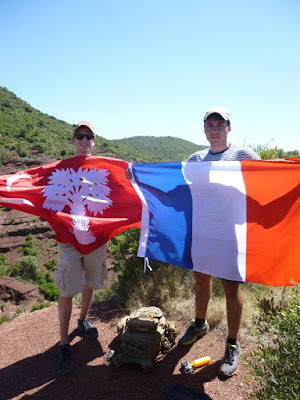 Before this trip, I knew the France like other nations was not monocultural and knew a fair amount of French history but that did not prepare me in any way for the level of depth I saw. In Occitania, I found blurred lines with Northern French, Occitan, Italian, Spanish, North African, West African and many other cultures all contributing to the identity of the region.These layers are the very same reason I consider Carcassonne my favorite site of the whole of the trip. From a small Roman fort its multiple owners such as Goths, Moors, and Frenchs, to name a few, built and added to complex until it became to what we see today.This is why I say any cadet that has the possibility of studying abroad in France should because all someone needs to do is gaze and talk and they will gain a desire to learn new cultures just as I did. For the last excursion, we went to Avignon which in my opinion was a fitting end to an excellent trip. When we arrived it was a hot day, easily reaching the high 80's but that did not take away from the splendor of the location. The first site was a quick glimpse of the Pont d'Avignon also known as the Pont Saint-Bénézet, an ancient Roman bridge well-known throughout all France as a children's song, Sur le Pont d'Avignon. However, we had to continue on as today was a short trip and there was plenty to see. We continued on to the Cathédrale Notre-Dame des Doms d'Avignon or Cathedral of Our Lady of Doms also known as Avignon Cathedral. Like many other cathedrals in Southern France had Romanesque and Gothic influences with a massive golden statue of the Virgin Mary at its peak. Afterwards, we headed to the apex of our trip, the Palais des Papes, the Papal Palace which was home to popes for most of the 14th century. On its exterior was an expanse of towers and gargoyles which were awesome in stature. In its interior, we as a group could not resist exploring with a various faded painting, sculptures and intimidating halls more akin to hangars. After an exhausting trip, we enjoyed sweets at a nearby ice cream shop before heading to Montpellier probably for the last time. In retrospect, this was a once in a lifetime opportunity that opened my eyes and can do the same for whoever wishes to see the greater world. And I say thank you to all that made it possible. 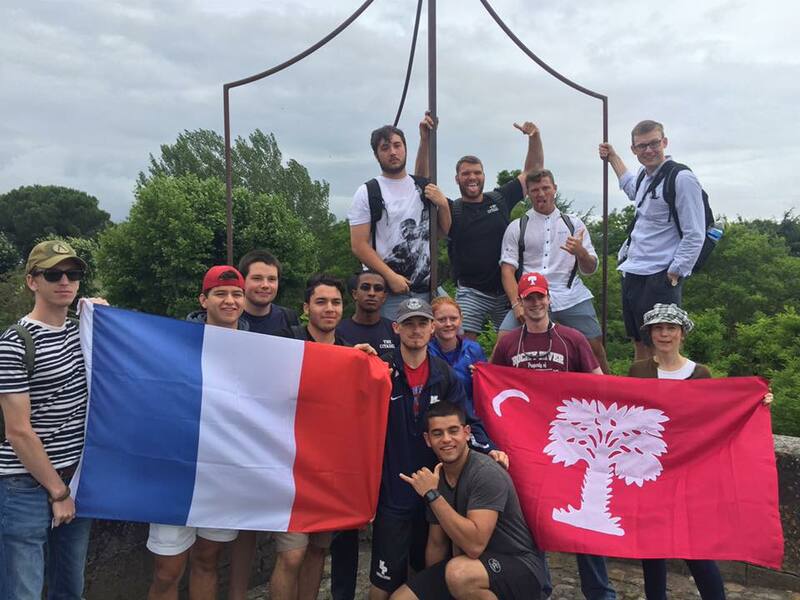 As we headed into the last week of our trip the locations we ventured to became more remarkable and the medieval fortress of Carcassonne was no different. In the past, it was a Roman colonia that protected the roads between Spain and Italy but it was later expanded by a number of factions such as the Visigoths, Moors, Cathars, and French. As our group approached the behemoth, I was awestruck by its steep walls as it rose from the hilltop and our group did not fail to take a number of group photos because of it. Once we had entered the city it was full of shops and restaurants like any tourist attraction and I enjoyed some free time with my classmate see breath-taking views of the countryside. Eventually, we were able to see the Basilica of Saint-Nazaire, another gothic-roman cathedral which like the others did not fail to impress. Before leaving we went to the main manor of the fort which was never touched by a sieging force, which is easy to see how with its impressive walls and towers engineered to withstand repeated onslaught. This could be my own military basis but I found the trip to Carcassonne as the most interesting excursion we had. On the third week of our trip, we were greeted with an unexpected surprise from our Professor, Mm. Strobbe. She had organized a trip in which we went to a small ranch near Le Grau-du-Roi, which provided horseback riding. 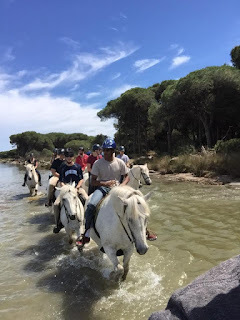 When we arrived the group was quickly impressed with the beauty of the horses as the majority were pure white Camargue which are locate to the region. 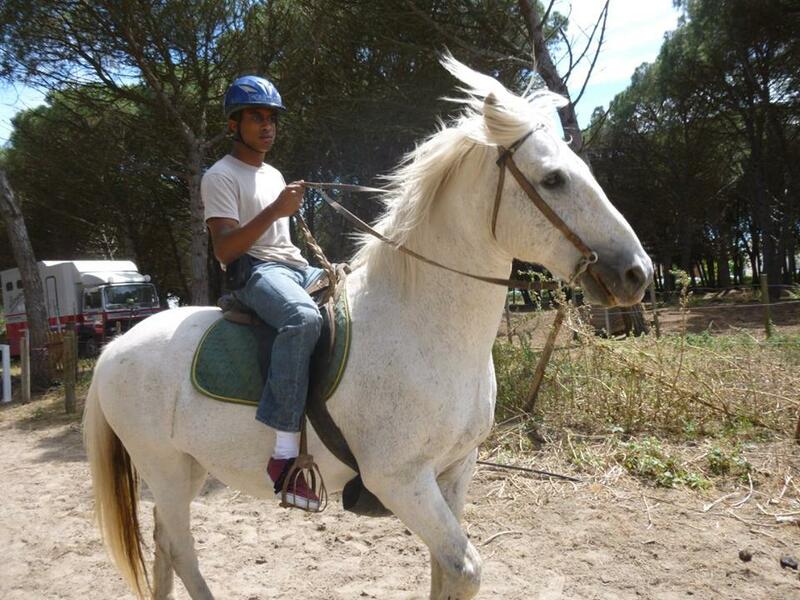 Only three cadets had previous experience with horse riding so the rest of us got trail horses which were fairly limited in their movement. The route we took was a lush stretch of woodland with a lake on its side. Personally, I found it memorizing being able to pass through meadows and blue waters on a gorgeous animal, it gave a real sense of antiquity and a strong connection to Occitania. We finished the trip with a gallop along a stretch of dirt road and we said goodbye as they were put in their stables.